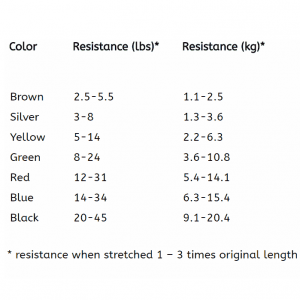 The exercise stabilizer is an easy to use device that provides a visual indication of working the correct postural muscles, in the right manner, when performing specific exercises. For prevention and treatment of back pain, neck pain, and to improve core stability. 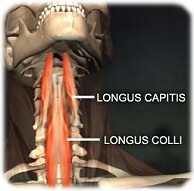 Provides muscle re-education using biofeedback. The measuring range is 0-200 mmHg analog pressure with an accuracy of +/- 3 mmHz pressure. With continuous and proper use, you can improve your quality of life by improving muscle function, decrease pain symptoms, and subsequently decrease anti-inflammatory medications. 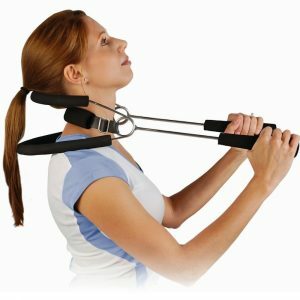 We have detailed in the exercise section the importance of specific neck exercises. The main one we focus is the craniocervical or nodding exercise. This is a simple, but finesse motion, but is critical in alleviating postural related neck pain and in curve restoration. 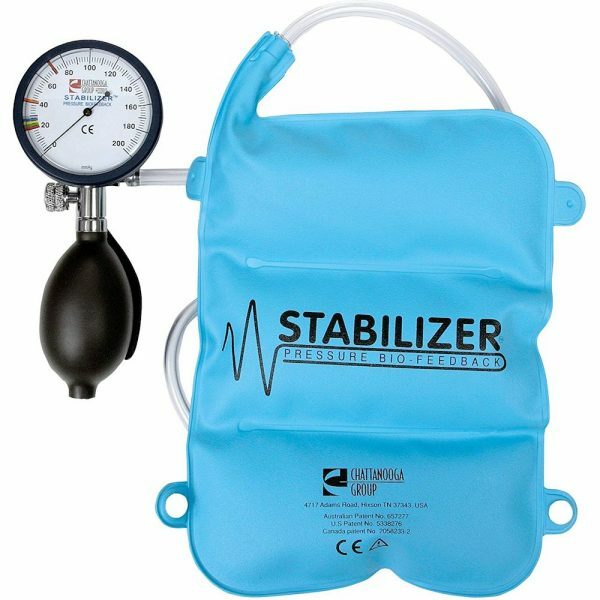 The exercise stabilizer is a biofeedback device that greatly enhances efficiency in performing this, as well as other specific exercises. 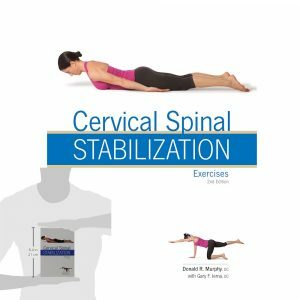 The stabilizer is the gold standard for performing the deep cervical flexion exercise; not only correctly, but to advance in a clear, scientific manner. Professionals will use this method, not only in clinical studies, but in treatment as well. This provides clear documentation for progression, efficacy, and is important feedback for the patient as well. This is not the only method to perform specific cervical spine exercises, but as we clearly document, it can be the most effective for pain relief and restoration of the most beneficial curve of the neck. 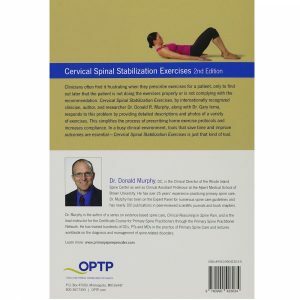 The exercise stabilizer not only is used for the neck, but the back and other areas like core stabilization as well. It uses a consistent visual indicator that gives instant feedback if the correct actions and postural muscles are being used in the correct manner. This improves results dramatically and is a great training device for those who are serious about results. The gauge measures a pressure range up to 200 mmHg, and is accurate within + or – 3 mmHz. 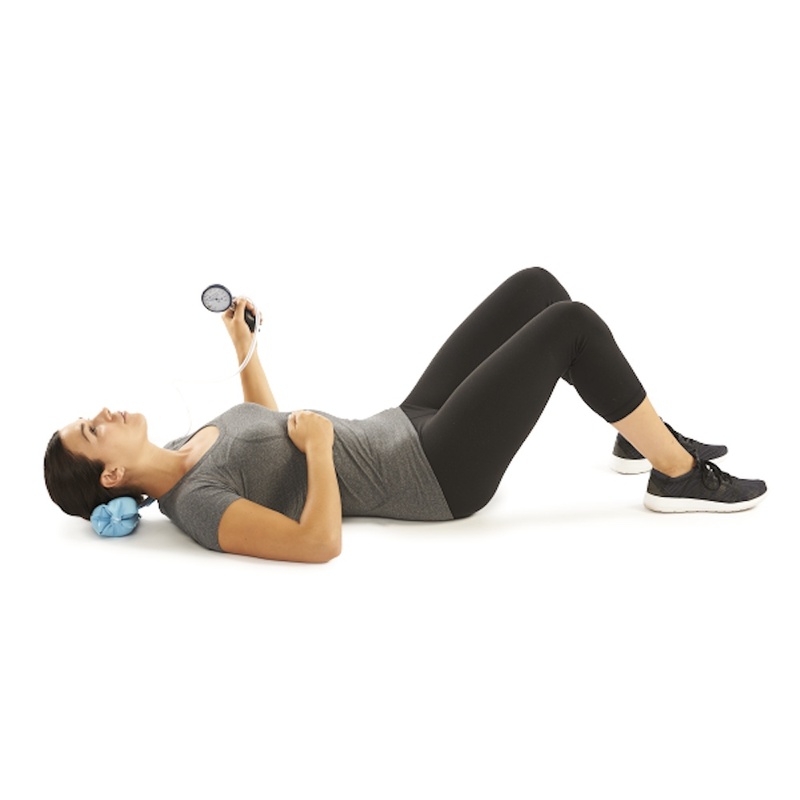 Use with exercise to protect and stabilize joints, prevent and treat lower back and neck pain, improve core stabilization, and can help stabilize and protect joints. 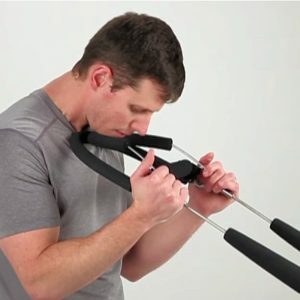 Here are two videos which delve in fairly deep into these exercises and the use of the exercise stabilizer pressure biofeedback device, which is nicely demonstrated. A low force loading craniocervical flexion test is used clinically to assess the function of the deep cervical flexors, particularly the longus capitis and longus colli muscles. This is a scientifically supported clinical test method to document assess a patient’s ability to perform as well as hold a specific upper neck flexion motion while not engaging the muscles of the mid and/or lower cervical spine. It is an air-filled inflatable pressure sensor employed to guide the patient through five stages (20 to 30 mm/Hg). 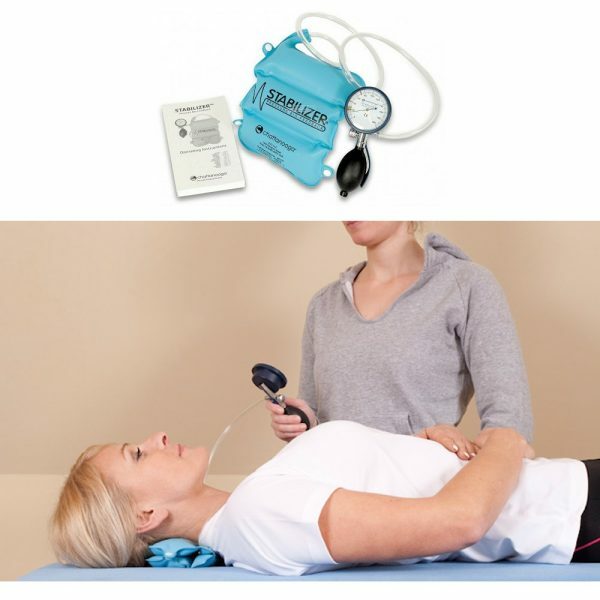 The biofeedback unit is placed behind the cervical spine and inflated up to 20 mm/Hg. 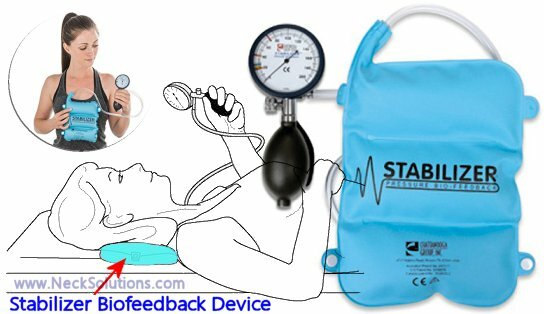 The goal in using the pressure biofeedback device is control in performing the deep cervical flexors with gradual increase of the pressure up to 30 mm/Hg & holding the pressure without using any compensation strategy for 10 seconds. The function of the deep cervical flexor muscles provide essential support for the cervical lordotic curve as well as the joints. A 2004 study in the journal Experimental Brain Research, atrophy of the deep cervical muscles along with a delay in activation was discovered in patients with chronic neck pain. A 2008 research study in Journal of Manipulative and Physiological Therapeutics indicates the craniocervical flexion test to be a valid clinical and research tool in neck pain and impairment. The authors indicate patients with neck pain and related disorders exhibit an alteration of the neuromotor control during craniocervical flexion featuring a reduction in deep cervical flexor activity, with an increase in superficial flexor activitys often associated with aberrant motion strategies and reduced deep cervical flexor isometric endurance. The craniocervical flexion motion retrains these muscles and is incorporated as a program for motor relearning in patients with neck pain, headaches and whiplash. This should also accompany ergonomic postural strategies. 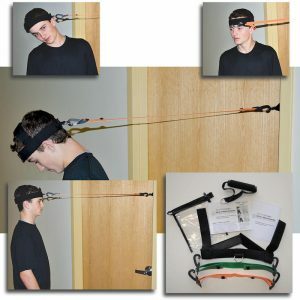 Interesting results from a 2016 Journal of Electromyography and Kinesiology study indicated the incorporation of suboccipital release techniques with the craniocervical flexion exercise provide additional benefits in muscle activation levels and correction of forward head posturing. 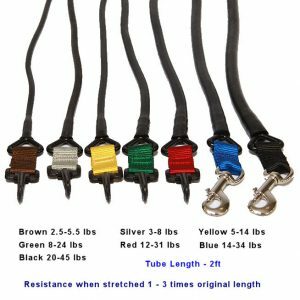 The exercise stabilizer is a crucial tool in more difficult and complicated cases. 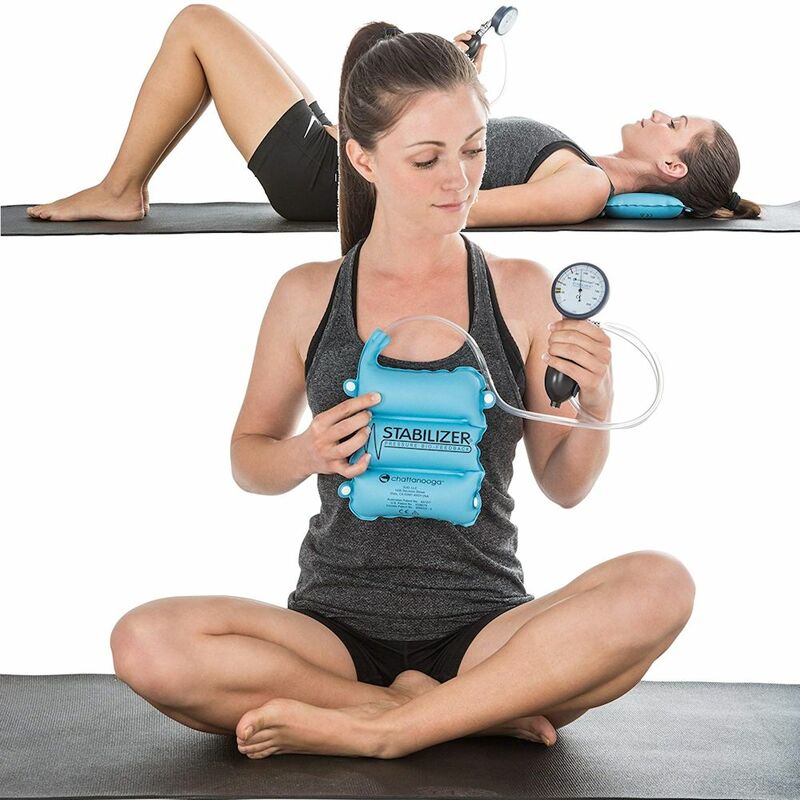 It is also a great device to use at home to get the most out of your specific exercises that require attention to detail for best results, as well as increasing patient compliance.